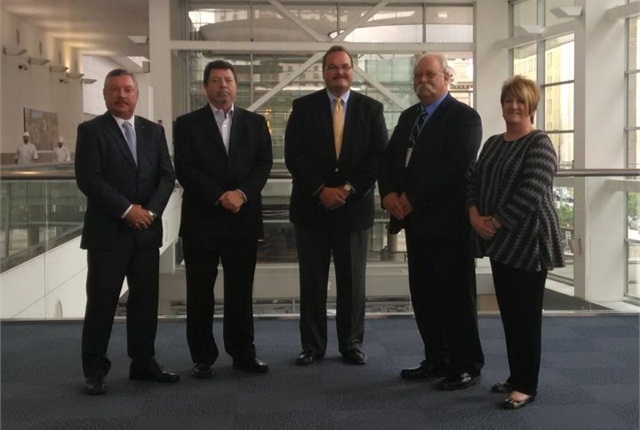 Eight public sector fleet professionals joined Public Fleet Hall of Fame this year, joining last year’s inaugural group of 10 inductees. The new inductees were recognized The Honors Celebration at the Government Fleet Expo and Conference (GFX) in Denver today. Honorees are industry leaders and pioneers who have significantly contributed to the public fleet profession. The award is sponsored by the National Joint Powers Alliance (NJPA). Each inductee shared a nugget of industry knowledge or helpful advice with the award event audience. Allen Mitchell, retired, Arlington County, Va., Snohomish County, Wash.
Marilyn Rawlings, CEM, Lee County, Fla.
Kelly Reagan, City of Columbus, Ohio; City of Fort Wayne, Ind. Milton Reid, retired, City of Gainesville, Fla.
Pete Scarafiotti, CAFM, CEM, CPFP, City of Mesa, Ariz.
Doug Weichman, CAFM, Palm Beach County, Fla.; Miami Dade County, Fla.
Jim Wright, Fleet Counselor Services, Inc.; Larimer County, Colo.; City of Northglenn, Colo.; City of Lakewood, Colo.
Of all the Hall of Fame inductees, Robert Martinez received a Legendary Lifetime Achievement Award. Inductees are chosen by a combination of industry professionals via an online ballot and Government Fleet staff. To be eligible, they must have at least 20 years of experience in the industry, 10 of which must have been spent working for a public fleet or a private company contracted to manage a public fleet.